Kuldīga is one of my favorite Latvian cities, not only for its unique beauty but because it is the birthplace of my great grandmother, Elizabeta Zvirbuļe. Kuldīga is a 13th century city in Latvia’s western region, Kurzeme. Because of its antiquity and distinctive architecture, some call it the Pearl of Kurzeme. Originally it was the village that grew adjacent to the ancient Castle of the Livonian Order of Knights, built on the left bank of the River Venta. This painting feature the centuries old guardhouse of that castle. Interestingly, the guard also served as the Duke’s executioner. 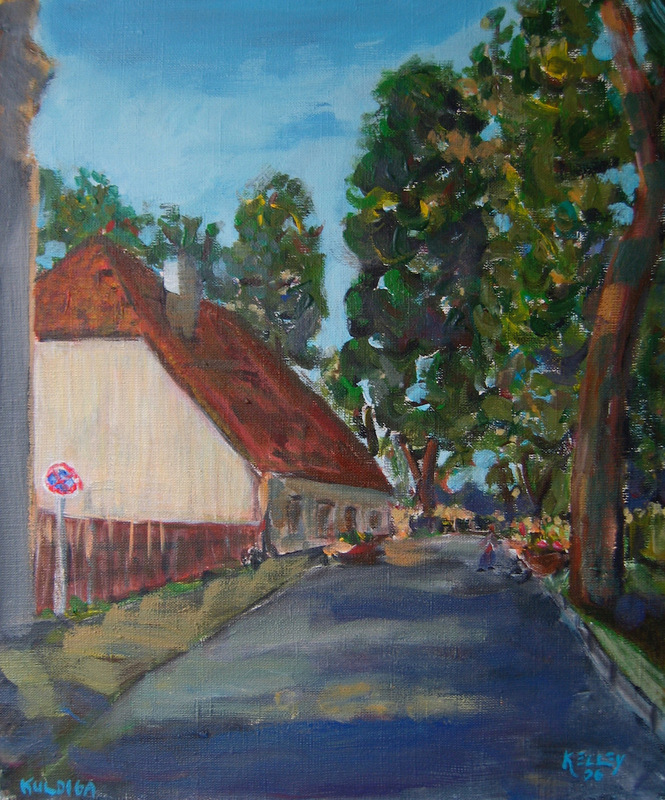 I painted this work en plein air one warm August day. Details:Acrylic on stretched canvas. 40 x 30 cm • 15.75 x 11.81 inchesPrice:Sold. In a private collection in Corvallis, Oregon.